Since its release the Rogue One ending has been crying out for someone to edit it together with the beginning of A New Hope. And so completing the Star Wars cycle which sees the stolen Death Star plans make their way into the hands of Princess Leia. Which in turn end up in R2-D2's memory system who, along with C-3PO, is sent on an escape pod to Tatooine. It leaves you with the urge to go and watch A New Hope immediately. Thus kicking off the events, and so the entire Star Wars franchise, that unfold over the original trilogy. Which means the Rogue One ending is especially important in the Star Wars universe, because even though this was supposedly a standalone movie, it really wasn't. For many of us it's a wonderful childhood connection. The way it ended—and not just its final moments but also the tragic, heart-wrenching events that took place before in the Battle of Scarif, where lives are lost—adds so much more weight and poignancy to the Death Star blueprints and the story behind them. It feels like the missing piece of our Star Wars jigsaw. 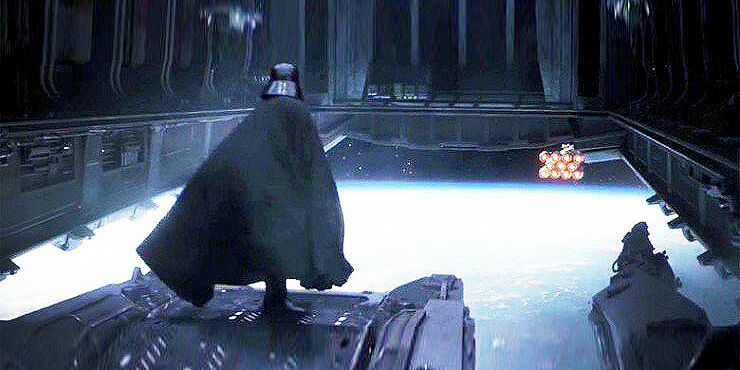 Darth Vader eyeing his next move at the end of Rogue One. Before, all we knew is that the rebels had got their hands on them. We didn't know the sacrifices that were made, the bravery and actions of those who got them. After the Rogue One ending we know exactly how they got their hands on them. Through a lot of death, loss, and general badassery. We just needed both films to become one. It was only a matter of time before it was bound to happen and by splicing the ending of one and the beginning of the other together like this, fan Barre Fong has shown just how well the narratives fit together and play into each other. But not only that, it also shows what a great job the filmmakers and designers did on Rogue One, in replicating the costumes of the characters and the interiors of the spaceships. 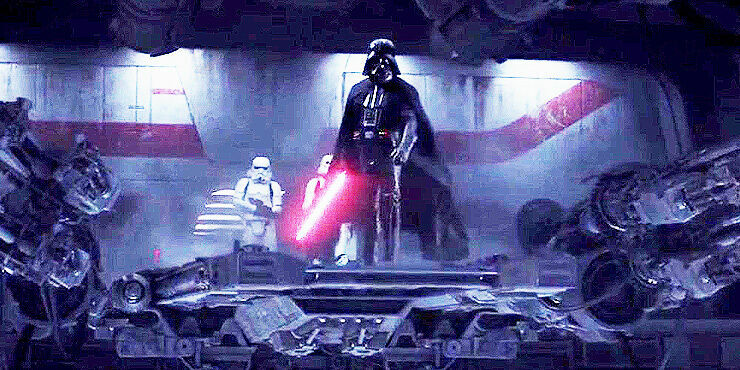 Seeing the end of Rogue One and beginning of A New Hope together like this is testament to their expertise. And for fans it's a real pleasure and treat to see. Although, and lets be honest here, that CGI Leia still looks weird. So now we all have what many of us have always wanted and waited for. The circle is finally complete. Darth Vader and his stormtroopers ready to board the rebel ship. Star Wars: Episode VIII Will Be Called The Last Jedi - But Who Does It Refer To?